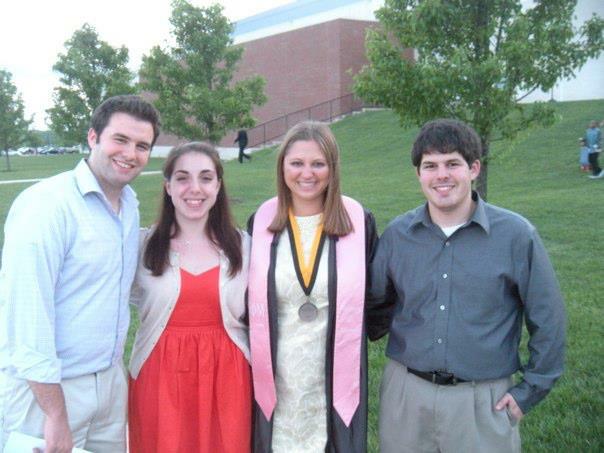 Me and my dear Twain friends at the J-School’s 2012 graduation this past May. Katie (the one in the robes) graduated a full year early and will be starting graduate school in the fall (Can you tell I’m proud of her?). See the people in this picture? We’re part of what has been christened the “Millennial” generation. Or Generation Y. Or Generation Next. Or the Echo Boomers (Thanks to Wikipedia for that one). You get the idea. I could rant about how misjudged my peers and I are, and I could list myriad examples of how my friends and I defy the oft-repeated entitled, lazy, dependent and spoiled stereotypes. But I won’t do that here. That is a post for a much worse mood. And also, if you are reading this, you are close to my age and likely already know all those things anyway. Instead, as I settle into my internship at The Plain Dealer in Cleveland, I’m intrigued by the working style differences between me and the rest of my department. To my knowledge, I’m the youngest by about 5 years, and I’m the only one still in college. Let me start off by saying that this post, and probably a few to follow, aren’t meant to be a judgment on my colleagues, but rather a look at how age can influence how people work. It’s not about quality — I’ve seen people of all ages here and at the Missourian doing amazing journalism. And it’s not about quantity either. It’s more about style. It’s no surprise that I’m a question-asker — I think I have more than a handful of teachers and editors who can attest to that. One school of thought about how people of my generation function says that asking questions and seeking feedback is about some constant need to be reassured and told we’re doing OK.
…I’m not sure I agree. I think feedback is important for students (and anyone, for that matter), but not because we need to be coddled. When I ask questions or inquire as to how I am doing at a particular task, I want to make sure I am not shooting off in the wrong direction. I look at it as communication between me and my editor/professor. The more informed they are about what I am doing and what obstacles I encounter, the better we can work through them. Asking questions helps me be a more efficient journalist and rules out the possibility that I waste time or make an obvious mistake. Sometimes, I don’t do this enough. At the Missourian, I am always bouncing ideas of my editors, friends, reporters and other staffers. I talk out rough spots in ledes, sourcing problems and frustrations in real time. We don’t have assigned desks, so anyone who plops down at a table is less than two feet from everyone else at that “pod.” This makes for distractions sometimes, but mostly it forces you to get to know the other people in the newsroom, if only because we are in such close quarters. No sigh, exclamation, laugh or exasperated facial expression goes unnoticed. At the Plain Dealer, I know where to go for help if I need it, and I’m fortunate to have so many experienced people in my department who are willing to talk through problems or lend me notes and other resources. But generally, I notice the conversations are less spontaneous and more sought-out. Where I’m used to a soft cloud of chatter, here it comes in smaller bursts. Everyone has their own desk, and while I appreciate the space to spread out, It seems kind of foreign to me. I imagine this is very much the professional standard, especially for a paper as large and accomplished as the Plain Dealer. I understand that no one can work with a constant deluge of noise, but I find that I do work better amidst chit-chat and mild socializing. Sure, when I’m studying for a big exam or need to crank out a story I pop in the earphones and retreat into some soundtrack for a bit, but that’s the exception to the rule. Journalism is an interesting creature. Much of it is individual work — reporting, transcribing, writing, etc. But I think the Missourian, for me, highlighted the teamwork aspect — brainstorming, problem-solving, collaboration, etc. I’ve formed such strong bonds with three semesters worth of education beat reporters and reporters/staffers across the newsroom that I didn’t realize how much it shaped my work style until I left. Every newsroom I’ve worked in so far has changed me and made me a better journalist. Aside from a crash-course in being a grown-up, I’m excited to see what this summer and this newsroom will bring! This entry was posted in Missourian and tagged friends, generation, generation y, journalism, millennials, Missourian, newsroom, the Plain Dealer, working. Bookmark the permalink. Shaina, I just started my first real-life job. And I completely understand what you’re saying. In this newsroom, everyone is at their own desks and conversations only come up periodically. It’s very strange to be a newsroom and not hear everyone’s constant conversations. It might be that the staff here consists of me, two other reporters and two editors. Sometimes I find myself trying to lure someone else in the office into a conversation. It surely makes me miss the Missourian’s chatter. P.S. I too am a frequent “question-asker,” seeking feedback and ensuring I understand. I get very much a similar vibe at my internship. Even though I feel like I always tend to be quiet at the Missourian, I kind of miss the spontaneous and off-topic conversation. I can’t decide whether this makes me more or less productive. Thank god, it’s comforting to know you guys are adjusting too. Abby and I were talking about this over the weekend and our office is the same way. It’s not a bad thing, by any means, but it’s certainly different. I’m so glad I’m not the only one, thanks for the comments, guys! It’s super interesting, because at my internship last summer, where we all had seperate cubicles or offices, we talked WAY more than we do in my internship now, in which there are no doors, just about 50 people/floor working in a giant room with big white tables. The guy on the far right, looks exactly like my next door neighbor. weird.